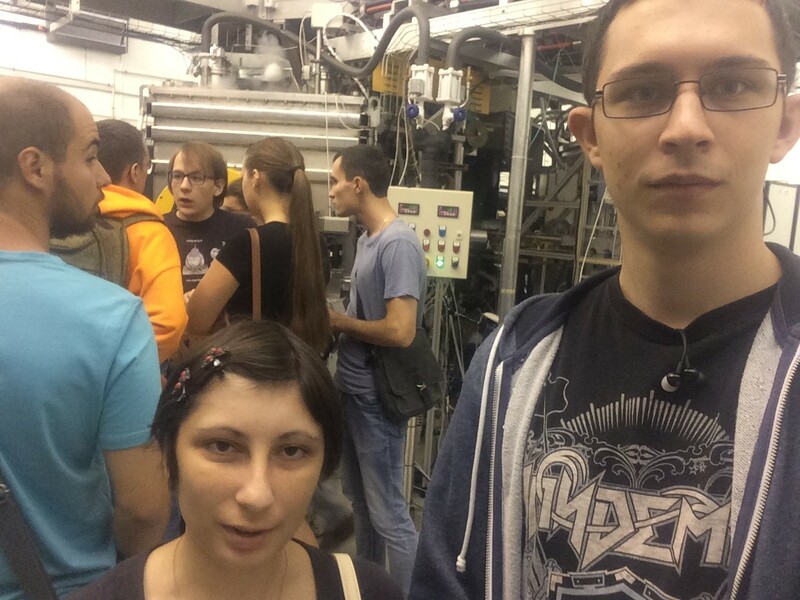 In the beginning of the new academic year, the students of MEPhI Institute for Laser and Plasma Technologies, the postgraduate candidates Aleksander Prishvitzyn and Yana Vasina and master candidates Dmitriy Panfilov and Nikita Sergeev had an internship at the COMPASS tokamak at the Institute of Plasma Physics of the Czech Academy of Sciences (IPP CAS), Praha, as a part of the annual experimental course on plasma physics. 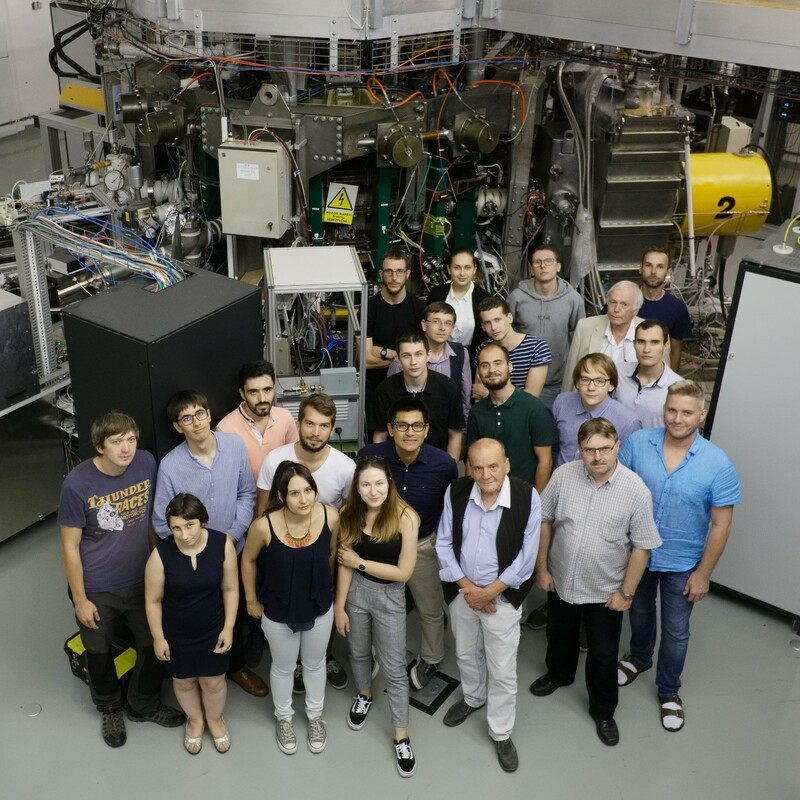 This year the 16th SUMTRAIC (SUMmer TRAIning Courses) took place from August, 27 to September, 7 and was focused on the analysis of the recent COMPASS tokamak experimental data. The course main goal is to involve participants in the reprocessing and analysis of the COMPASS tokamak experimental data. It is also desirable for the participants to take part in experiments if possible. — It all started with the decision of the COMPASS staff members to enter the community of tokamaks using liquid metal technologies, where Russia is considered one of the world leaders. The National Research Nuclear University MEPhI Professor Gido van Oost (LaPlas Institute) is also one of the leaders of the COMPASS tokamak scientific group. Based on his recommendation, our Czech colleagues asked the LaPlas Institute Department of Plasma Physics for expertise and help in conducting experiments with liquid lithium. 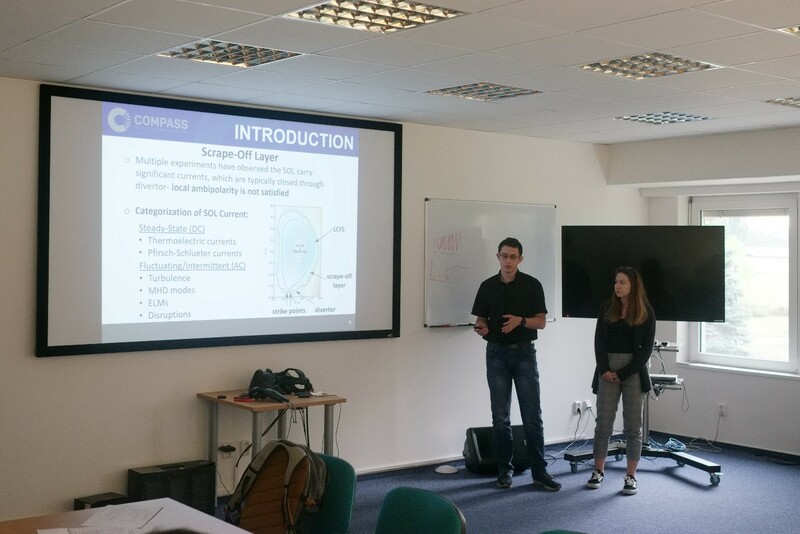 The Department decided it would be better for the Department postgraduate students to participate in the SUMTRAIC course that takes place at the tokamak in order to gain expertize of its diagnostics complex, infrastructure and the tokamak itself. 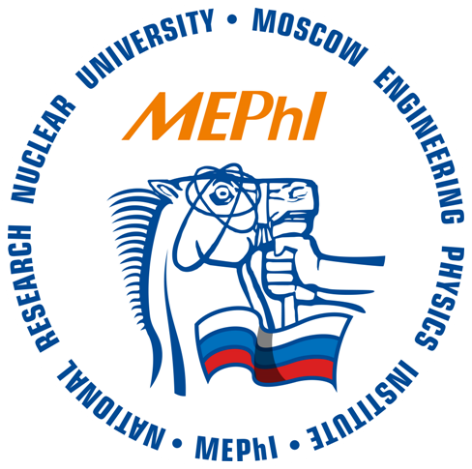 The course main goal is to make participants acquainted with modern plasma diagnostics methods, perform the analysis of tokamak charges data and, of course, to boost international cooperation between participants from different countries. My main mission was to study how current coming to divertor plates from the tokamak pulse depends on different charge parameters. While reprocessing data from Langmuir probes, ball-pen probes, floating tiles, I improved my skills in using Matlab software and learnt how to use local databases of tokamak diagnostics. My work resulted in discovering how the current coming to divertor plates depends on general plasma current, electron temperature and electron density in divertor area. If these results are proved true on other facilities, the obtained scalings can be used for calculating current in divertor area of the ITER and DEMO tokamaks. The experience of working with a modern D-section tokamak I gained can be useful for further cooperation with the COMPASS. I may include the obtained data in my thesis for the Postgraduate’s Degree. — I was invited to participate in the SUMTRAIC course by the MEPhI Professor Gido van Oost (LaPlas Institute). The school goal is to involve students and postgraduate candidates from different countries in reprocessing and analyzing the COMPASS tokamak experimental data. 16 people from 9 different countries took part in the school. My work included studying LCO fluctuations that come from plasma L to H mode transfer. I reprocessed data from tokamak probe measurements in Matlab and Python. As a resulted, I obtained LCO fluctuation spectrograms and studied their dependence of electron density. The way the presence of probe affects LCO was also studied. The results of my work were presented during the final seminar. 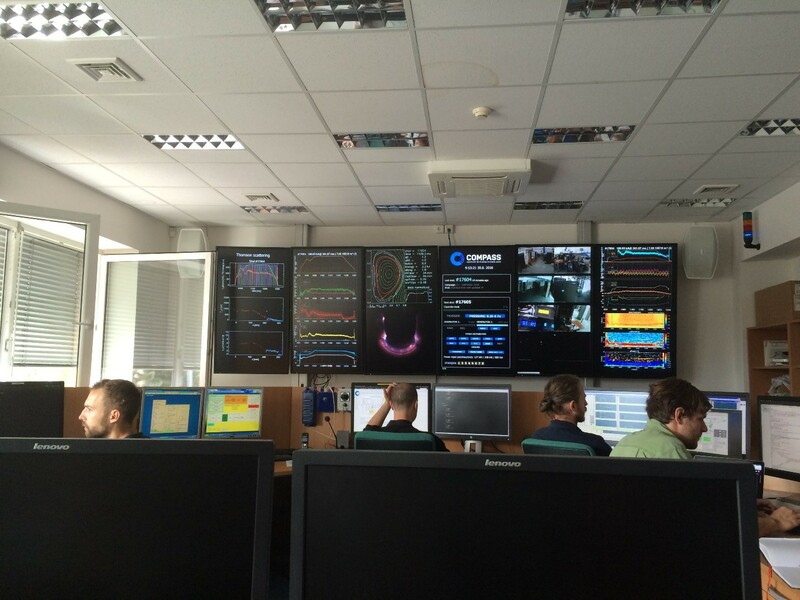 The experience I gained will be useful for further research at the tokamak T-11M. The COMPASS tokamak modernization and installation of liquid metal divertor target are expected to take place soon. In this regard, there are plans for further cooperation on studying liquid lithium properties on this installation that can be of use for my Postgraduate’s Degree thesis.